Separate Turra', Hornsby and Dural start routes meet contemporaneously at Thompsons' Square, Windsor at 9:20am. 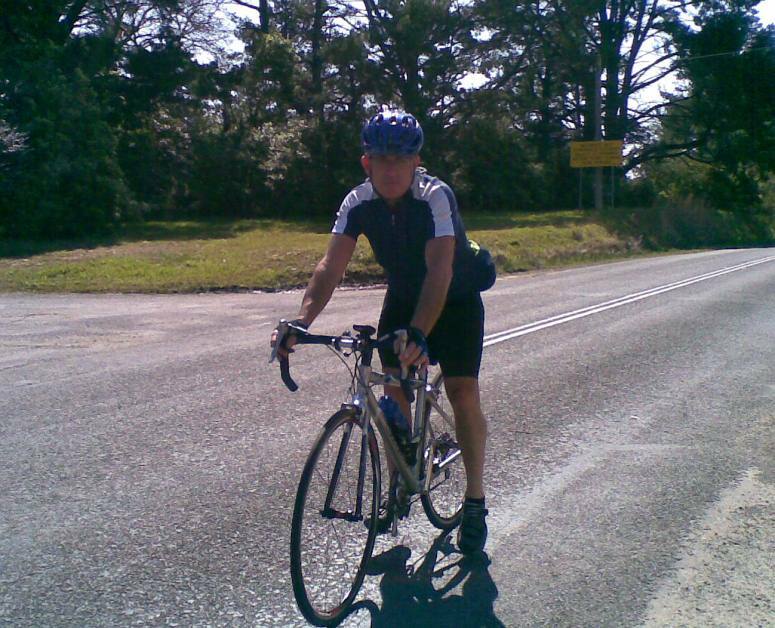 Thence, Tour de Freeman's Reach, Nth Richmond, Lowlands, Cornwallis via 36km clockwise loop north. 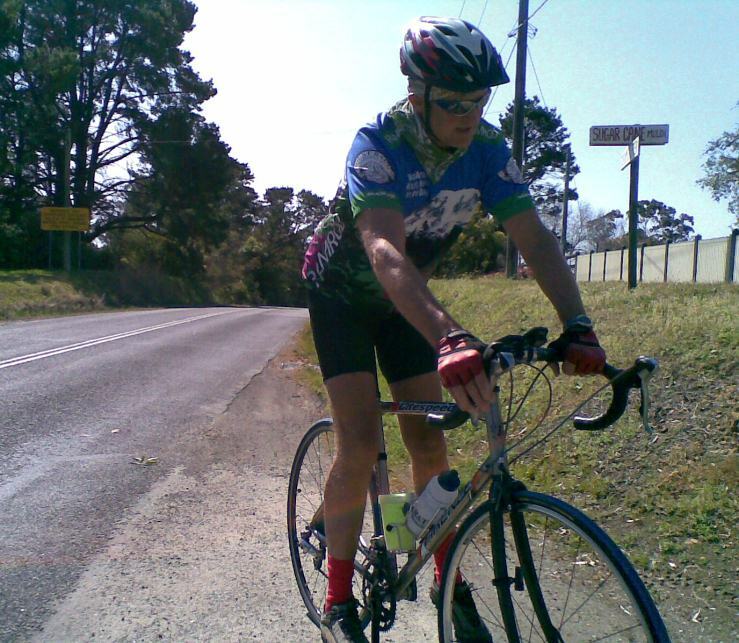 Ride Organiser Phil Johnston aka Bank Teller 0434 715.861 is starting at Turramurra station @ 7:30am with David aka CricketTragic, Pete aka CampyAficionado, Richard aka Sloth and Jane aka Neo-Luddite. 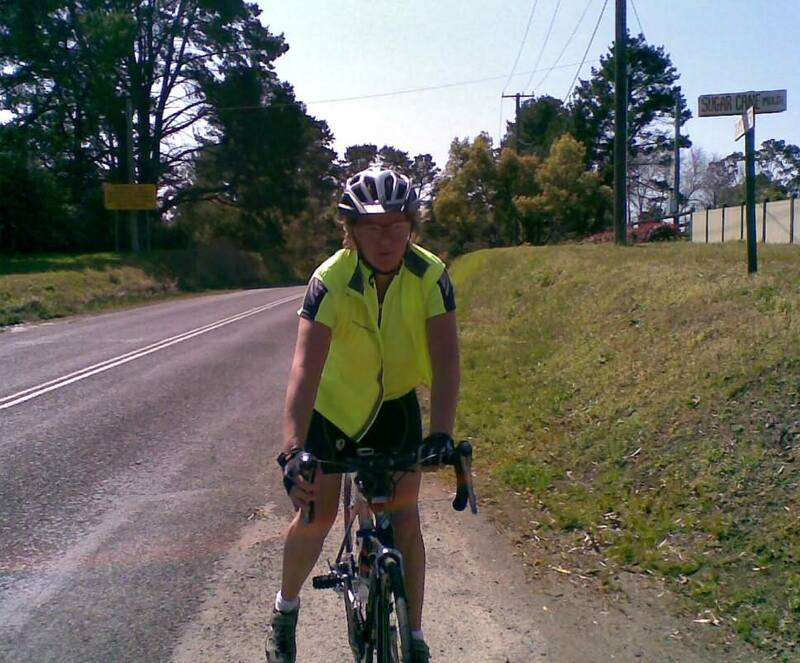 Justine aka Trumpeter is cycling from Hornsby down the Pac H'way turning right into Kissing Point Rd.
? is meeting us at top of Vimiera Rd at 7:45am. ChiliDog will be waiting in the bus shelter at Cnr Epping Rd and Vimiera Rd at 7:50am. We should pass the Pennant Hills Rd on-ramp around 8:15am. 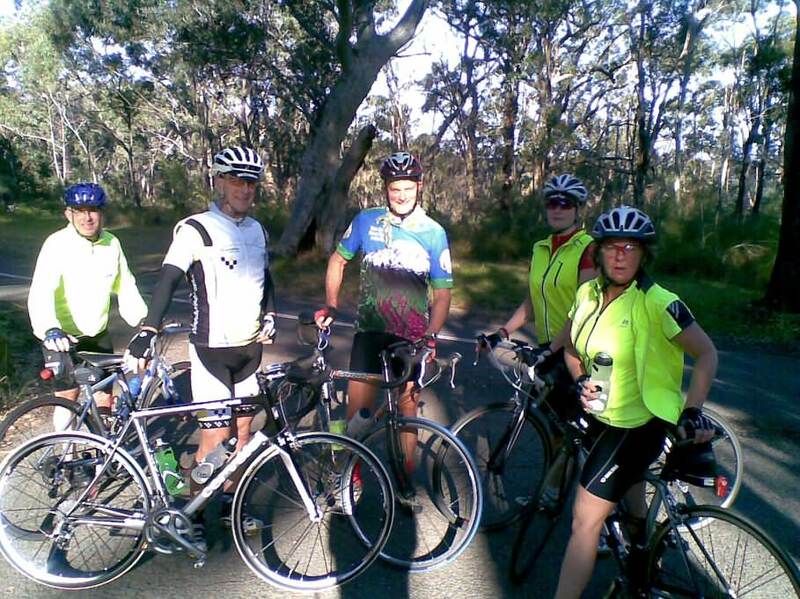 Rollout 7:30am up Rohini St to Pac H'way and descend Kissing Point Rd. to Browns Waterhole meeting any starters who drive from the SW at Vimiera Rd carpark at 7:45am. 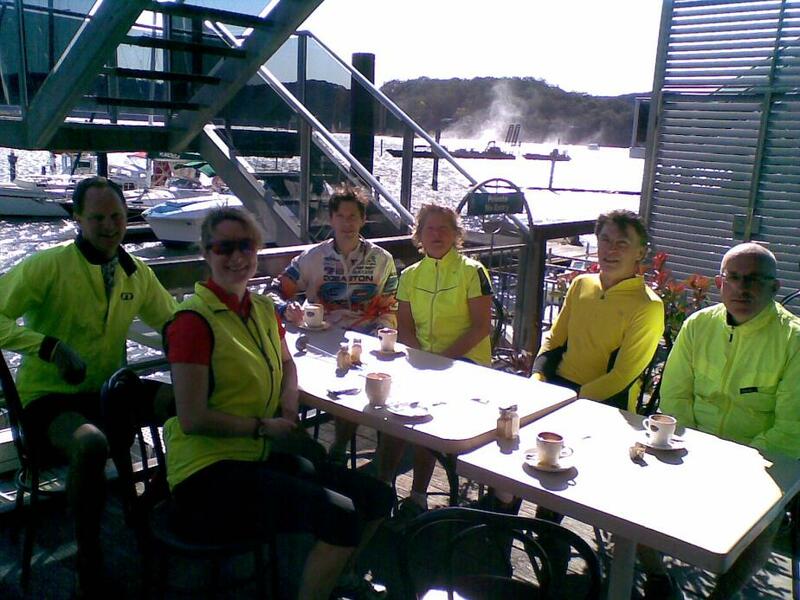 Thence Epping Rd, M2, M7, Quakers Hill Parkway to Riverstone, Mulgrave, Windsor where we meet cyclists that started from Hornsby or Dural for 1st Nosh Stop (30 min) from 9:20am at The Bridge Cafe on LHS in Macquarie St [historic Thompson Square] off George St. Windsor. 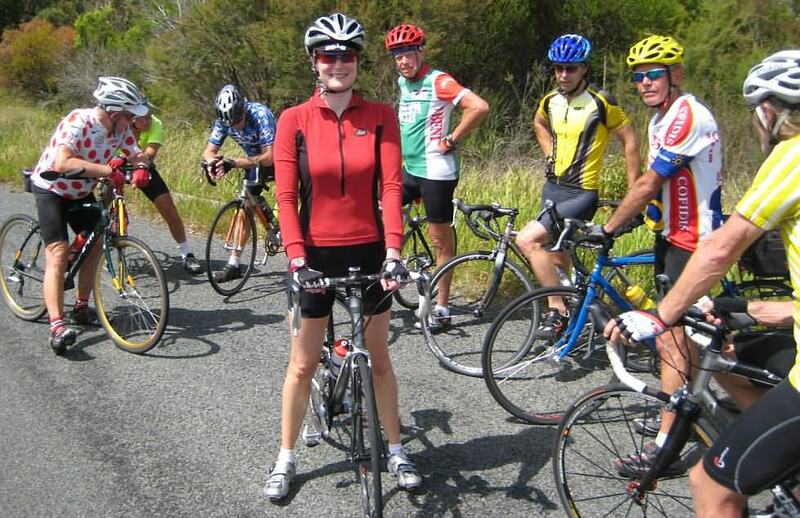 * L SW into Vimiera Rd for 20m to meet-up with other cyclists who parked at Vimiera Rd Sag Stop (3 min). * L at intersection of Beecroft Rd and M2 to enter M2 breakdown lane. * Continue ahead onto M7 for 7km to off-ramp to Quakers Hill Parkway where we Left at roundabout onto Hambledon Rd. 750m later L into Bali Drive (through housing estate) R at "T" junction into Walker St and 600m L into Burdekin Rd and follow this for 600m when it becomes Railway Terrace. Follow railway line to Schofields and continue to Riverstone along Railway Tce. Where Riverstone station level crossing is on your LHS, turn R then immediately L and follow the railway line on your LHS. Riverstone Parade take us to Vineyard Station. At Vineyard station road veers to the R. Turn L into Wallace Rd after 50m. Follow railway line along where Wallace Rd ends at a "T" intersection. Turn L and cycle over a level railway crossing, and turn R into Railway Rd and remain on it for about 1k to Mulgrave Station where we R onto Mulgrave Rd and follow until you reach Windsor Rd. Turn L into Windsor Rd, and follow it 3km to Windsor. Continue on main drag of Windsor/Richmond Rd for 5km for 1st Nosh Stop (35 min) from approx 9:20am at Macquarie Square Windsor. Windsor Rd / Richmond Rd. 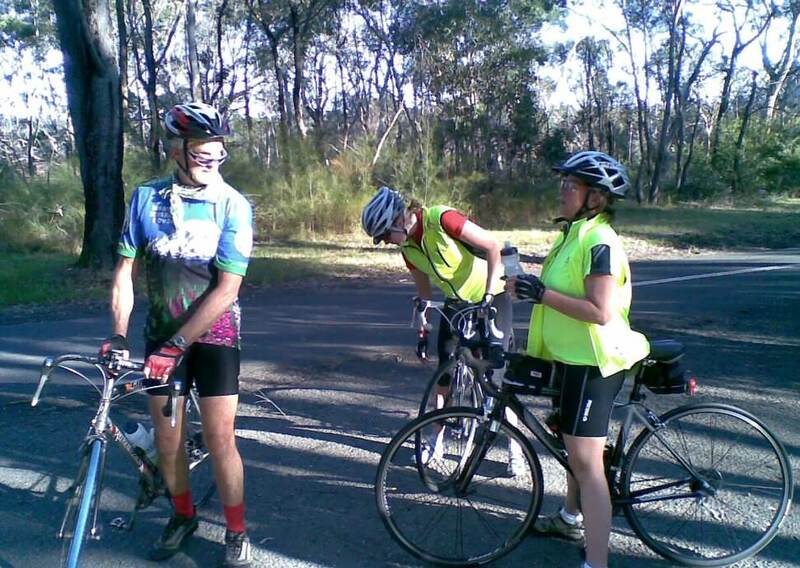 Arrive Macquarie Place Windsor at 9:20am for 1st Nosh Stop (30 min). (ii) 32 min ride to Seven Hills station, alighting at 1:27pm (or 1:57pm). "The tough get going, when the going gets tough". Golly, where was Publican, Sloth and Bazza. 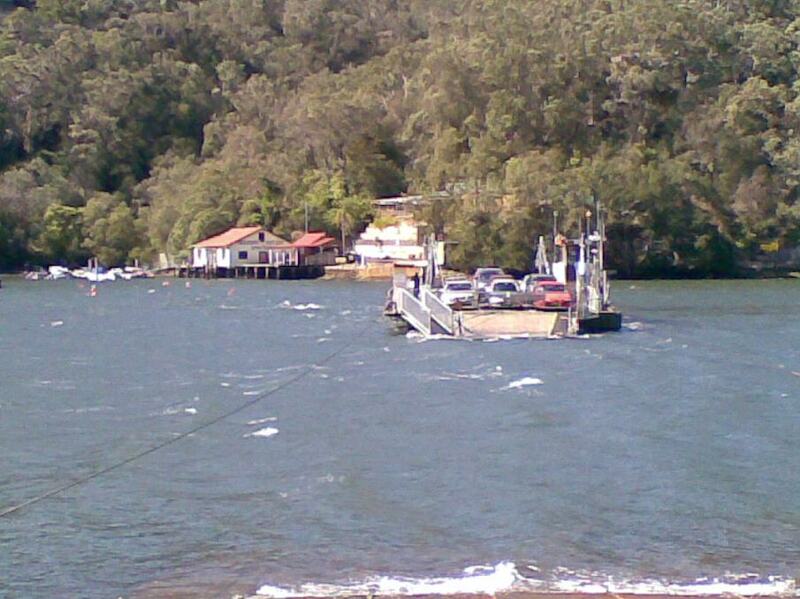 Seems a mere bagatelle of a zephyr that petted out mid-arvo caused three to seemingly "turn-it-up". 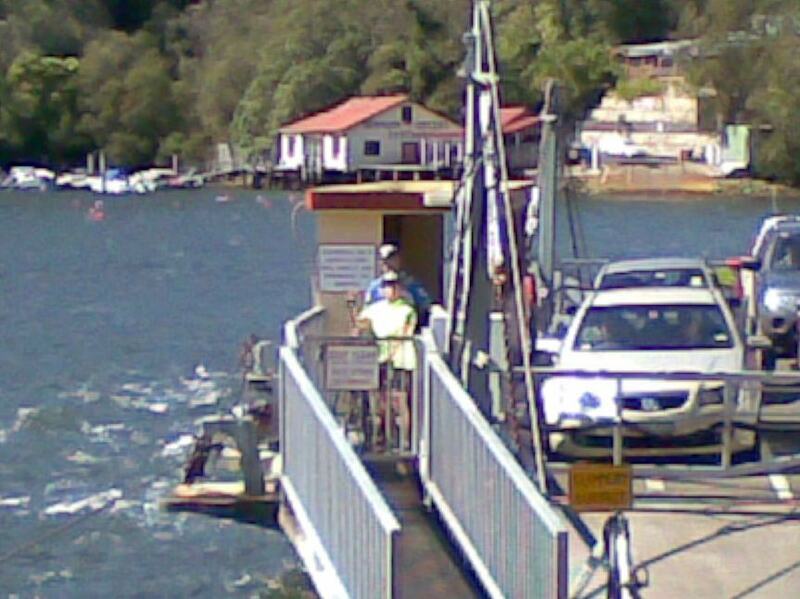 Undaunted, Jane aka Neo-Luddite, David aka CricketTragic, Scott aka PatternMaker, Ron aka Draughtsman, Phil aka BankTeller, Grant aka BeanCounter and Justine aka Trumpeter arrived at the Brooklyn wharf on schedule. Ron and Justine had to return directly back for Fathers Day commitments. The rest of us completed the below route, fortuitously with more tailwinds than head winds, 'cause a 'gentle breeze' was intermently coming from the N/W.